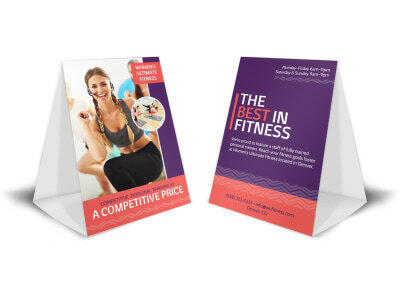 Use your medical facility’s reception and waiting areas as the ideal stage to promote healthy living and introduce new providers by customizing a slew of table tents. Use our online editor to carry your existing colors and branding through your new materials while you encourage your patients to get their annual flu shot, well-check, or preventive screening. Show off your newest family physician or nurse practitioner with a great headshot and a short bio listing their specialties and accomplishments. Send them to your favorite printer or let us do the work for you – we’re here to help!